If you thought that the $5,000 iPhone 5 case was too much then you are about to set your sights on something that far passed that price tag! Those crazy Brits have done it again, only this time it’s a 24carat gold iPhone 5 case complete with 53 diamonds, yours for just $35,500. Yep, you definitely read that figure correctly, so whilst you pick your jaws back up from the floor I will carry on with a few details for you. The cases are designed by designer Stuart Hughes, and there are apparently 100 of these cases set to go on sale. 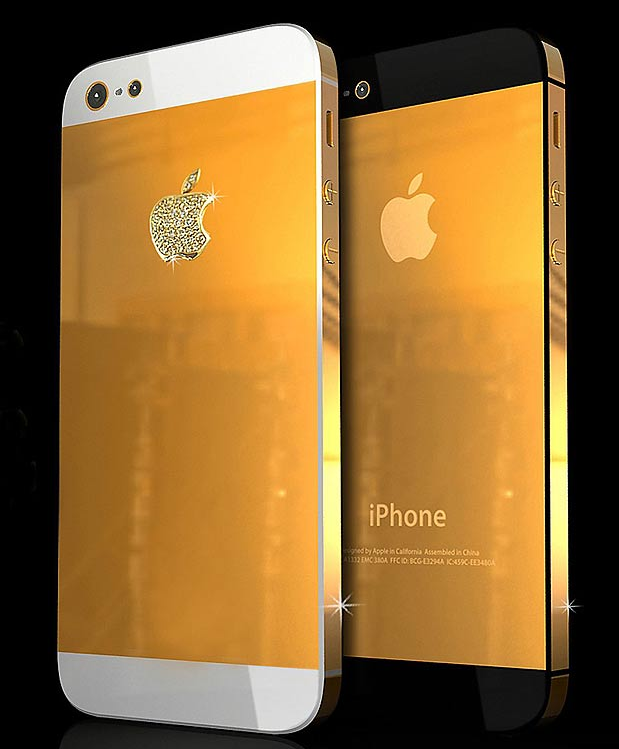 Stuart, from Liverpool (home of The Beatles) sold a one of a kind iPhone 4S gold case last year, for check this…£6 million to a businesswoman from Australia. Whether he will sell all 100 is another question, but with over 5 million sales recorded in the first weekend, it’s likely that people with a spare cent will want to get their hands on these. For me, I was contemplating whether it was worth shelling out a few hundred dollars for the iPhone 5 itself, let alone another $35k for a case! Hands up who wants one?